Nothing frustrates a marketer more than a failed Facebook contest, as it costs some real dough to create, manage, and promote a contest, and the prizes that go along. Unfortunately, there are countless failed contests on Facebook for every successful one. Running a successful Facebook contest is a goal that every Facebook marketer shares, but not everyone realizes it, in spite of the fact that most marketers have a good understanding of the elements of a contest. This article hopes to bridge that gap of having an understanding of the necessary elements of a contest and actually running a successful Facebook contest. Creating a buzz after the launch of a contest is a delayed response. You need to start promoting the contest before it goes live. And to do that you should start by creating a Facebook event for the launch date of your contest. When creating an event, do not give all the contest details, just provide enough information to create some interest in your contest, but you must provide the details of the prizes to be won. You can use a title like “Interested in getting a free [XYZ]? Wait for so and so date”. The event announcement should work as a teaser for the contest. And to make the contest more rewarding for your organization, you can run a Facebook ad campaign to get more people to like the event page. Although it has been some time since Facebook has included hashtags in its system, it has not been so frequently used as it is on Twitter. The same marketer who has used a hashtag on twitter has not, so far, appeared to be very keen on using it on Facebook. This attitude leaves a lot on the table as far as “shareability” of a post is concerned. You should find relevant hashtags for your contest, for which you may use tools like hashtags.org, and use them in your contest posts, including in the ones you will create before the launch of the contest, but keep in mind, do not abuse hashtags. Walking down the social media Madhyam Marg is a sure way to avoid pain, but then it is also keeps you away from ecstatic pleasures. Always keep in mind that you do not have to be a middle-of-the-road traveller, or your brand will lose any spirit it has. Do not be scared to be controversial, if you want your fans to be emotionally connected with the brand. Be controversial, but be relevant, if that is what is asked for. But do not create controversy just because you can do so. Being humorous is also an alternative, if controversy is something you want to avoid. The goal is to be interesting while remaining relevant. People want to belong and that is one of the reasons why they liked your page in the first place. You can cash in on this desire by providing a badge for contest participation which they can share on their wall or with their friends; this sharing should not be a complicated task, though. At the end of the contest, you should also provide a glamorous winner badge for the winner to paste on his Facebook wall or as cover photo. Now that you have a fundamental understanding of how to make a contest go viral on Facebook, you should now let your creative juices flow freely. 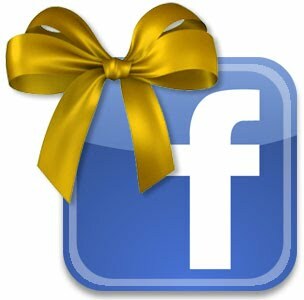 Go back to the drawing board and start creating a blueprint of your next Facebook contest.